and droplet turned sun to roving dots. was work, was softened glass. for a tree that might grow or an animal’s grave. Dog in the hole, white fur and fill dirt. Better to bury it. It was my birthday. A dogwood in winter has berries the birds like. a hollow log with heated rocks. It is my birthday. It keeps on, it occurs. For my birthday I am given a window. a stone. Everything I have I give to winter. a rock on which to perch. meet a boy and get feet. 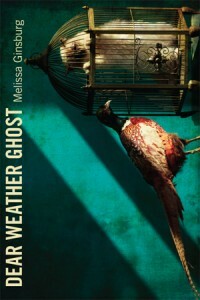 From Dear Weather Ghost (c) 2013 by Melissa Ginsburg. 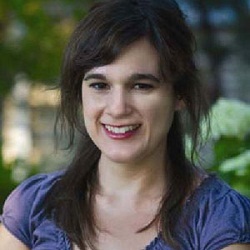 Melissa Ginsburg is the author of Dear Weather Ghost and the chapbook Arbor. 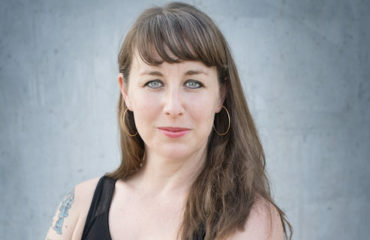 Her poems have appeared or are forthcoming in Fence, Denver Quarterly, Blackbird, Sixth Finch, jubilat, and other magazines. 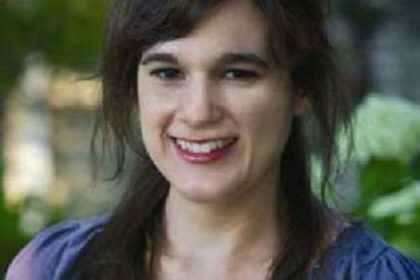 She has received support for her work from the Mississippi Arts Council and the Ucross Foundation. Ginsburg is an instructor of creative writing and literature at the University of Mississippi in Oxford.